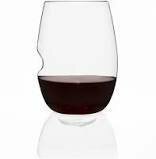 A crystal-clear shatterproof "wineglass" perfect for indoors or out - at a picnic, an outdoor party, or at Country Crossings Music Festival. The govino wine "glass" is actually not glass at all. A nice option for enjoying wine while you are on the go. Add to your Park Pass ticket order and pick them up at our hospitality tent. We also have our GoVino Wine decanter available.